The magpie is a loud, powerful member of the corvid family, to which crows and ravens belong. 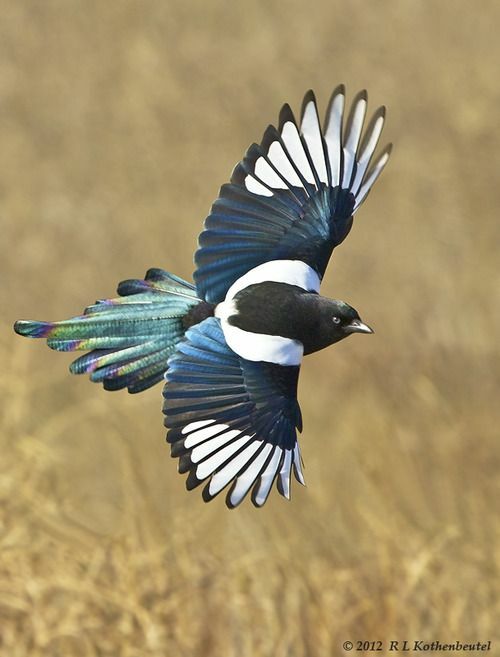 Magpies differ in color in different regions, but are noted for their white and black contrasts, which invoke the balance and integration of of light and dark, and thus figure prominently in the mythologies of many indigenous cultures. 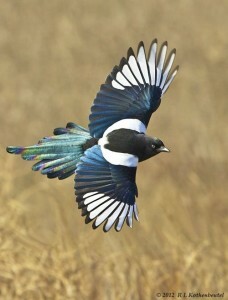 In China and Korea, the magpie is seen as a messenger of good luck, and a bridge between certain stars in the milky way. In aboriginal culture, the magpie is responsible for prying open the space between heaven and earth with sticks in order to bring light to the earth. This reinforces the power of the magpie as being able to transit worlds, act on behalf of humans within celestial circles, and to be a bearer of light. Magpie portents were read across mainland Europe and the British Isles as well, and the birds were welcomed for their qualities as guardians and messengers of future events. The Cheyenne have many vivid myths about this powerful bird. In these myths, the magpie is strong hearted, driven, and single-mindedly focused on the goal. In Blackfoot myth, the Magpie goes out in search of a fragment of bone of an ancestor so that a young princess may use it to resurrect him, the ancestor being her father. In this tale, the magpie uses its keen senses and abilities of procurement to fulfill the magical requirement. This coincides with Isis’ search for the 14 pieces of Osiris’ body in this highly relevant, archetypal Egyptian tale of death and rebirth. In both tales, it is crucial to note, that the ancestor is resurrected through song, which is, of course, healing and focused vibration. In this light, we can see that the magpie animal totem is able to assist you on a quest, bring you lost pieces of yourself, so that you may be resurrected or restore that which has been lost to previous pacts, debts, or contracts. Change is in the air, many of us are very stressed as we focus on overhauling our lives and our society. Call upon the magpie’s excellent luck, drive, and strong-hearted focus to support you on your path. The intelligence of a good-hearted trickster guide can never be underestimated.